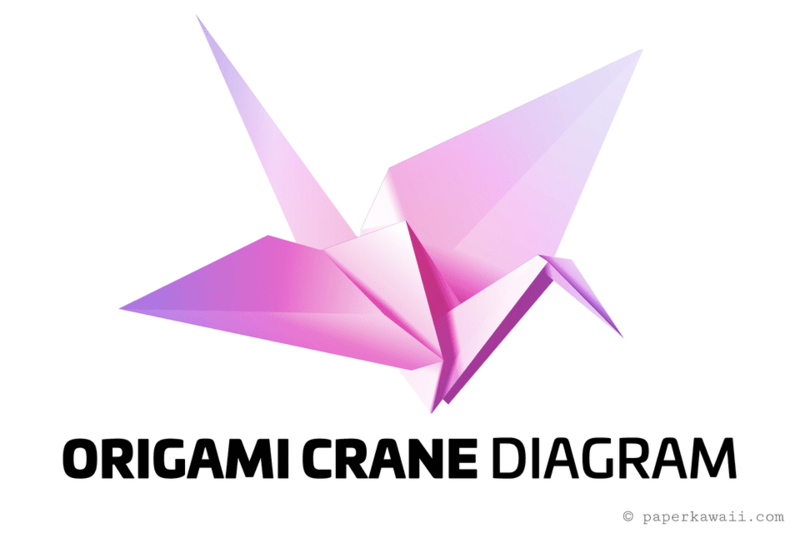 The traditional origami crane is perhaps the most popular example of origami projects. It uses a bird base, which is a square base plus two petal folds. Traditionally, folding a thousand paper cranes is said to grant you the right to make one special wish. Next up is this lovely Modular Origami Cube Box, made from six "Sonobe" Units. These make great decorations or use as a gift box! If you use several different colored sheets of paper, they have a very pretty patchwork effect. Spinning tops are popular paper toys for children. This design uses six sheets of paper that are joined together, offering a unique opportunity for mixing and matching different origami paper patterns. This can also be hung for a pretty decoration. These would look very pretty hanging in a nursery as part of an origami mobile. This pretty Origami Tulip Flower also has a stem that it fits into. You will need two sheets of square paper for this one. Make a few of these and add to a vase for a pretty origami flower arrangement. This is a useful origami envelope wallet that's very quick and easy to make. Use this wallet to keep your cash, or use it to store receipts and other documents. Or make a gift for a friend or relative choosing a paper in their favorite color. This origami box, perfect for candy or snacks, is tapered at the top, making anything inside stay put. These are easy to follow step by step instructions. These take a bit longer than a regular Masu box, but the end result is worth the time. Consider making these as party favors for a special event. This is a nifty origami tissue paper holder for your handbag! These are quick and easy to make, following the origami diagram. When you're done, use your tissue holder to store tissues folded to be pulled out neatly. These origami fans are so easy to make! They make great decorations at parties & weddings, you can also make little origami earrings with these. Consider making special gifts for friends by choosing paper that matches their favorite outfits. This traditional origami boat is easy to make. It's also a wonderful toy, as it can float on water. Make several to create a bathtub fleet for a child! To make a paper boat move through the water, put a drop of liquid soap at the back of the boat. The changing surface tension will propel the boat forward! Learn how to fold an easy paper plane. It's a great activity for kids and easy to remember with this diagram. Have a paper plane race with your friends! This particular plane is officially an origami project, but there are many ways to fold paper planes to create unique designs and flight patterns.